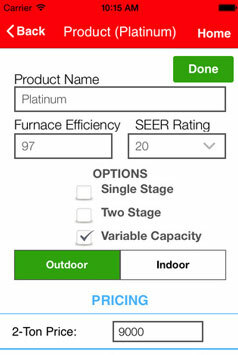 Amana TCO Sales app is designed to enable dealers to make decision between right cooling and heating unit depended on the sum of ownership and consumers will as well be able to make comparison both the systems so as to be sure of all the information such as unit cost, installation cost. 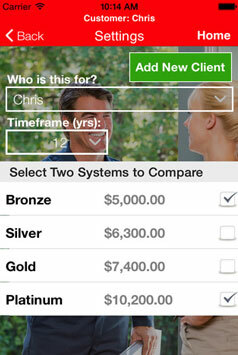 This is further help estimate the profit with the help of in-app calculator. 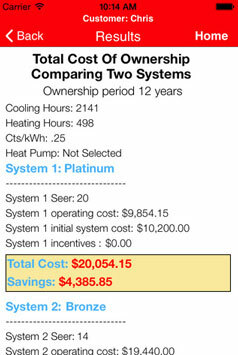 Client approached us with a requirement for an app that helps dealers make a wise decision when it comes to choosing the right heating and cooling systems based on their ownership expense. Plus, the end-consumers will as well be able to make comparison between two heating and cooling systems just to ensure that all the information are put rightly and honestly. We made an app that can be downloaded on iTunes Store as well as Android Google Play Store. The app is designed and developed with unpretentious goal, enabling the customer to make comparison between two AC units and make an informed purchase decision. 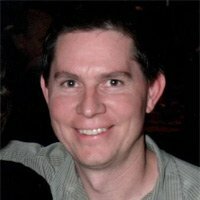 Front-end The idea behind developing this app was incredibly exclusive and the toughest challenge was to attain the exact result post comparison between two systems is made. A good app is defined by how well it's running since the day it went LIVE and how happy its end users are with the improvements made over a certain period of time, in-app navigation simplicity and little or no experience of crash while loading.